Anti-aging and seeking youthful restoration can certainly come at the expense of many patient procedures such as surgery, lasers, and topicals. But injectables really are the secret ingredient that people are missing out on when it comes to the ideal anti-aging program. Think of it like synergy where a combined effect is greater than the sum of its individual parts. Simply put, adding injectables as the 4th ingredient to your anti-aging program allows you to achieve the highest level of satisfaction from your procedures. 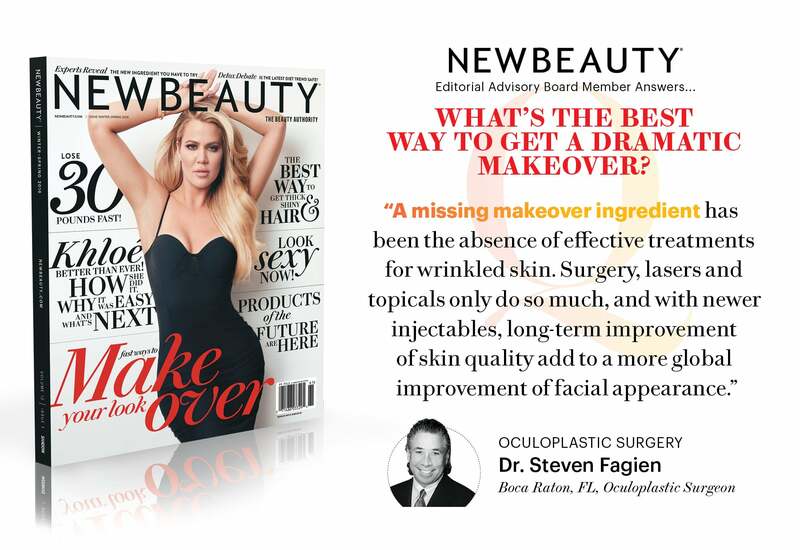 Dr. Fagien serves as a member of New Beauty’s Editorial Advisory Board where he provides his expertise in oculoplastic surgery. If you think facial injections may be the missing ingredient for you or you want to learn more about anti-aging procedures, contact Dr. Fagien today or simply call (561) 393-9898.